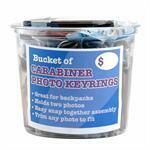 Insert size: 2" x 2-7/8"; 24 packed in bucket; 8 of each color: Blue, Red, Silver. 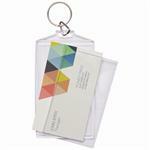 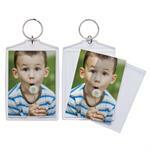 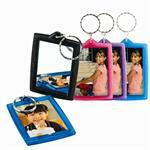 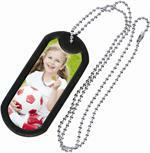 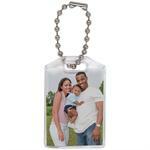 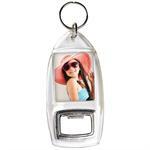 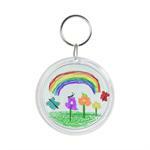 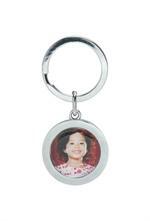 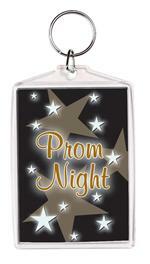 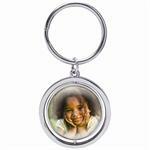 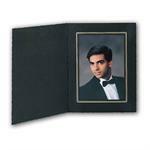 Insert size: 2" x 2-7/8"; holds two photos; 24 assorted pieces - 8 of each color: Translucent, Black, Blue, and Red. 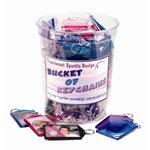 Insert size: 2" x 2-7/8"; 12 of each color: Black, Hot Pink, Blue, Purple, and Teal; 60 keychains total in one bucket; keychains are prepacked. 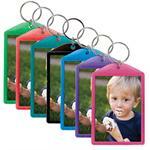 Insert sizes: 1-3/4 " x 2-3/4" ( #4979 )or 2"x2-7/8" ( #4984 ); colors available: black, blue, hot pink, purple, and teal. 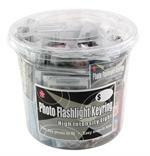 SOLD wholesale in boxes of 144. 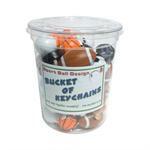 24" beaded chain; metal back; insert size: 1-3/16" x 2-3/4" Image window: 1" x 2-1/2"; SOLD wholesale in boxes of 100. 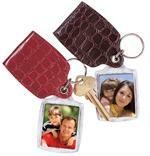 Leather like pouch available in red or brown; Insert size: 1-1/4" x 1-9/16"
Holds 2 photos, one on each side; Insert size: 1-1/4" x 1-9/16"
Half wallet Snap-In keychain; insert: 1-3/8" x 1-3/4"
Half wallet Snap-In keychain; insert: 2-1/2" x 3-1/2"
Holds two business cards, one on each side; Insert size: 2" x 3-1/2"
Snap-In keychain; insert: 1-3/4" x 2-3/4"
Holds two heart shape inserts, one on each side; Insert size: 2-3/8" x 2"
Sizes: 1-3/4" x 2-3/4" or 2" x 2-7/8"
Comes with beaded chain; Insert size: 1-1/4" x 1-9/16"
Buy keychains wholesale, custom key chains, cool keychains for men, unique keychains, keychains sports, sport team keychains, soccer ball keychains, hockey keychains, lacross keychains, key chains for kids, and keychains for girls in Northridge, Los Angeles, California 91324 Call Toll Free 1-800-423-5546.